Is Justin Anderson This Year’s Malcolm Brogdon? Prior to the beginning of last season, any preseason accolades that were heaped on a Virginia player were going to Joe Harris. He was a senior who had put up prodigious numbers over his career, and the media rightly thought he was in for a superb final season in Charlottesville. Although Harris notched his second all-ACC performance in 2013-14, it was a little-known sophomore named Malcolm Brogdon who became the team’s offensive leader on its way to the program’s best season in over three decades. With Harris now gone and Brogdon returning as a hyped junior, history at Virginia may just be repeating itself. Brogdon was the star who received preseason All-ACC honors, but through the first four games it has instead been a newcomer to the starting lineup who has become Virginia’s star. Justin Anderson was not quite the unknown quantity that Brogdon was last year, having been the ACC’s Sixth Man of the Year a season ago. However, given the perception that this would be Brogdon’s team as well as uncertainty as to how Anderson’s energy and consistency would be affected by becoming a starter, few saw this breakout coming. The Cavaliers’ swingman has led or tied for the team scoring lead in all four contests in this young season, including a team-high 18 last night in a victory over a tough George Washington squad. Right now, he’s averaging 16.0 points and nearly six rebounds a game for one of the top teams in the nation, and shooting an astonishing 59 percent from three-point range. 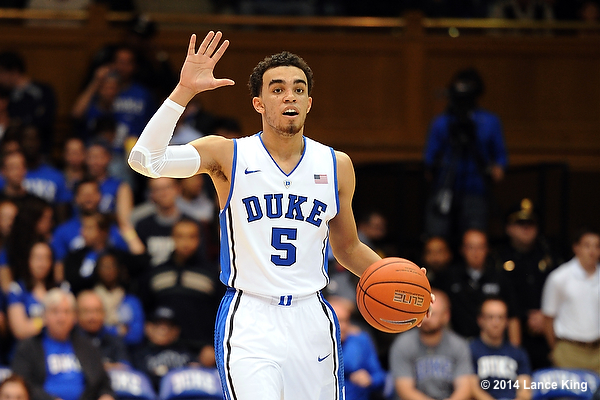 Are last year’s reserves ready to step into the prime time? 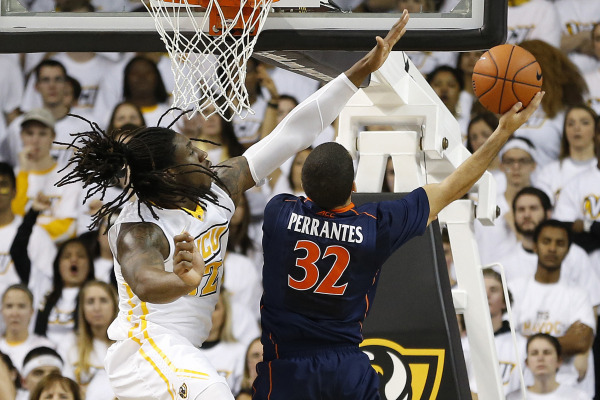 Virginia as a program enjoyed a renaissance of sorts under Tony Bennett last year, winning its first outright ACC regular season title in 33 years and first ACC Tournament in 38 years. After a slow start in the non-conference slate, Virginia turned it on after the New Year and finished with a record of 30-7, a #1 seed in the East Region, and a trip to the Sweet Sixteen. Bennett has stressed that despite Virginia’s lofty preseason billing, this is a different year and team. While Virginia returns 70 percent of its core in terms of playing time, the losses of Joe Harris and Akil Mitchell are hefty ones. The players counted on to replace the production and leadership of those two stalwarts will largely determine if the Cavaliers can have an equally or even more successful 2014-15 season. 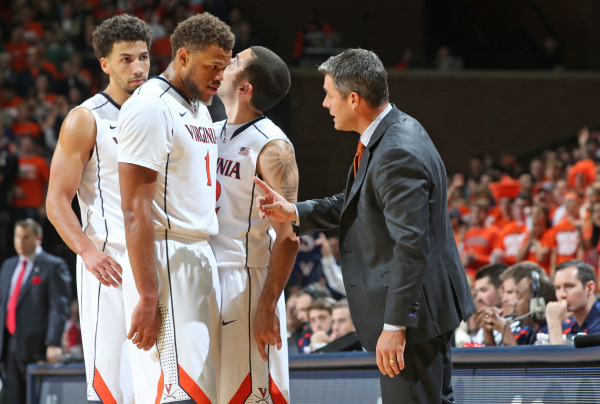 The good news for Virginia is it is the ACC team best-suited to replace outgoing starters, as Bennett stresses a team-oriented concept that operates without the need for true superstars. 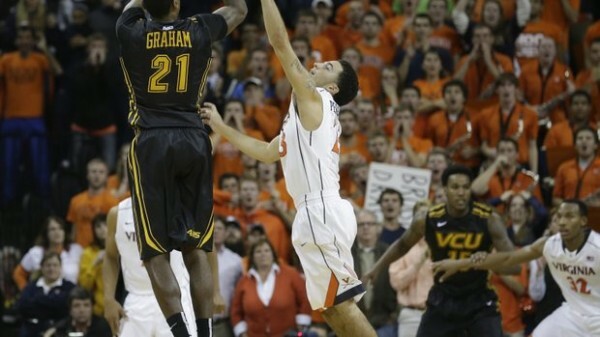 Guard Malcolm Brogdon, Virginia’s best offensive player last year, led the team in scoring at a mere 12.7 points per game. While Brogdon may raise those numbers as he continues to take more of a leadership mantle, it’s not necessary that he do so for the Cavaliers to win. 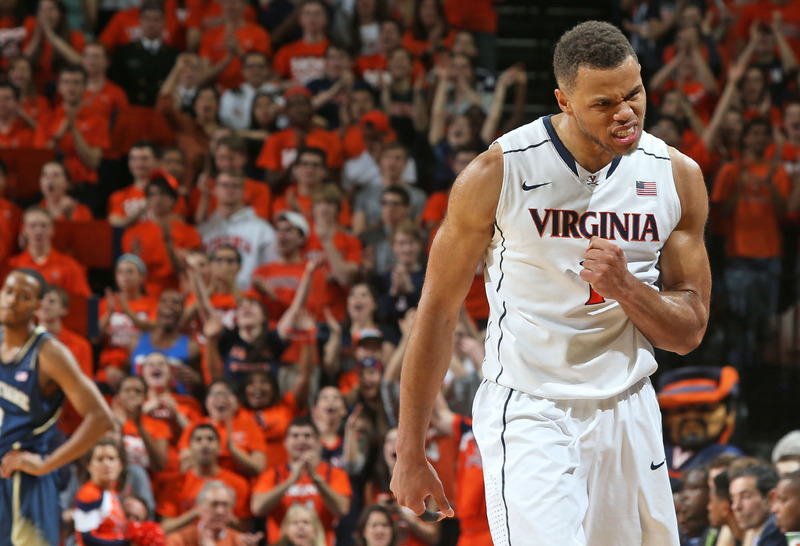 Justin Anderson, the reigning ACC Sixth Man of the Year, will likely step into the starting spot vacated by Harris. While not the three-point threat of Harris, Anderson’s athleticism coupled with capable long-range shooting should keep defenses honest. The backcourt is still in great hands with London Perrantes running the show (after he returns from his one-game suspension), a rising sophomore who displayed remarkable poise and ball security as a freshman. If Perrantes continues to be a threat when looking for his own shot, the Cavaliers’ backcourt could be its calling card on the offensive end. Championship Week has found its close, but here are a few final short reviews of each of the automatic qualifiers to help you fill out your bracket this week. None of these titans really needed the “automatic bid” portion of their Tournament title gift package, of course, but with each figuring to play a key role in the weeks ahead, here’s what you need to know about a trio of Championship Week’s final victors. 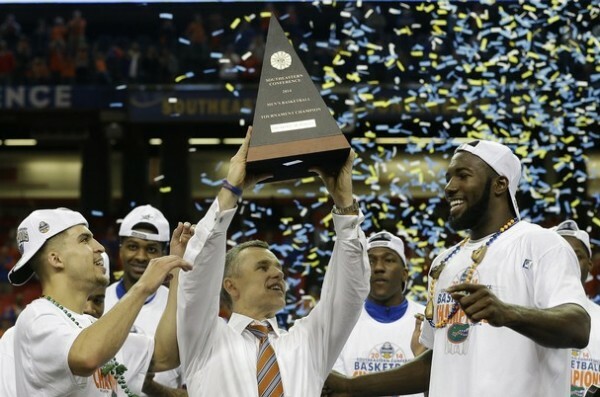 In the final minutes of basketball before the 2014 NCAA Tournament bracket was unveiled, Florida survived Kentucky to claim the SEC crown, complete their 21-game conference sweep, and keep alive a 26-game win streak. Quite a tidy going away package for the Gators, who will enter the Tournament as a #1 seed and among the two or three favorites to cut down the nets in Dallas. The one-point victory Sunday was only the fifth time this season that the Gators have won by three points or less – a testament to the workmanlike attitude that has extended this win streak time and time again. The Gators led the SEC in both offensive and defensive efficiency. Defensive weaknesses are hard to spot with the Gators, but despite the high overall level of offensive efficiency, there is a weak spot or two that opponents will seek to exploit. Florida’s free throw shooting is shaky (66.2% as a team, 295th nationally), and even primary ballhandlers Scotty Wilbekin (72%), Casey Prather (68%) and Kasey Hill (63%) are anything but sure things at the charity stripe. Three-point shooting isn’t a concern for Florida at first glance – they shoot 37% as a team, 73rd best in the country – but Wilbekin (58 3PM, 40%) and Michael Frazier (107 3PM, 46%) have combined to make over 70% of the team’s three-point field goals. The rest of the team shot just 27% from distance, so if an opponent can find a way to take away looks from either Wilbekin or Frazier – especially the latter, who is strictly a perimeter shooter – things could get pretty one-dimensional for the Gator offense. Florida is the perfect example of a team that used the entire season to grow into an elite squad. For much of November and December, Billy Donovan was just trying to keep proverbial head above water with his team, as pieces shifted in and out of the Gator lineup. Wilbekin, Prather, Dorian Finney-Smith, Kasey Hill, and Chris Walker all missed time for various reasons, but save for road losses at Wisconsin and Connecticut (and no shame in those, either), the Gators kept on winning. 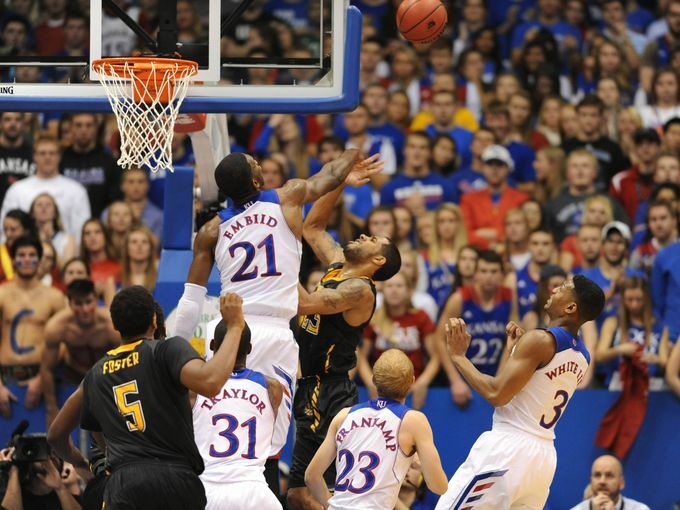 Prather grew into an unlikely All-American candidate, Wilbekin has staked his claim as the best point guard in America, and Frazier is now second to none when it comes to perimeter shooters. None of these things happen without one of the best coaches in the game pressing all the right buttons from the sideline, but Donovan has spent the last four months constructing a team poised for even greater things in the NCAA Tournament. And after winning 26 games in a row en route to a sweep of the SEC titles, that, my friends, is saying something.